With a range of Memberships tailored to you, Formby Hall Golf Club is ideal for experienced professionals, beginners and families. Join NOW and pay your membership fees before Sunday of the British Masters (12th May 2019) and we will defer the first instalment of your joining fee until April 2020. This is a golf membership as it should be – Simple. Accessible. Flexible. To build relationships, establish valuable new contact, reward clients and team members, our Corporate Golf Partnership is the perfect solution. Membership is designed to be flexible so that you can easily entertain your clients in a way that suits your needs. This membership package gives you access to both our courses for you and up to 3 guests per day. Available as a 5 or 7 day package and includes corporate membership benefits. For more details and prices please contact the Golf Membership team on 01704 835412 or click here to enquire. For more details please contact the Golf Membership team on 01704 875699 or click here to enquire. Take the opportunity to join one of the finest PAR 3 courses, host to the PGA North Region PAR 3 Championship. 12 month membership comes with a host of extras including access to all golf academy facilities and driving range. New golfers looking to develop their game and bridge the gap from driving range to full membership. Established golfers or club members looking to develop their iron play and short game. Golfers with a busy schedule keen to retain a club membership. Golfing families requiring a membership that parents and kids can enjoy and play together. 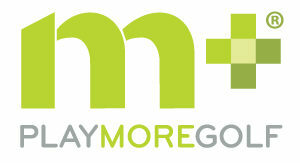 Welcome to our new flexible golf membership scheme available for only £325 per year in association with PlayMoreGolf. PlayMoreGolf is the new innovative online ‘points-based’ golf membership scheme and is the future of how golfers will undertake their membership activity. Not only does the points-based scheme give you access to the courses at Formby Hall Golf Resort, it also gives you a greater variety of golf at no additional cost at other selected golf clubs in the UK including over 12 golf courses in the North West of England. A membership fee of only £325 per year buys you one hundred points which you can redeem against the cost of golf on either the Old Course or Woodhey Dunes course whilst maintaining some of the benefits that come with being a golf member including the option to hold a handicap. You can also use your points for up to 3 friends each time you play. Enjoy a 12 Month Membership from £750.00, only £62.50 a month…. NO joining fee! !